Toutes vos marques a trouvé 1 boutique(s) correspondant à la marque I PATH, à la catégorie Chaussures . Toutes vos marques, vos boutiques de vêtements de marques tendance, de chaussures à la mode et d'accessoires branchés : toutesvosmarques. "www.toutesvosmarques.com" a trouvé 1 boutique(s) correspondant à la marque I PATH, à la catégorie Chaussures. path found its beginnings from the streets of San Francisco to the back alleys of New York City. It represented a group of skateboarders who ventured on a journey to explore what skateboarding meant to them. The idea was to promote the soul ride, remaining true to yourself and following your path to where ever that may lead you. The result was a new line of skate footwear that was a clear divergence from the over-tech look going on at the time. 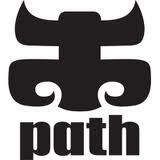 Ipath has always been driven by its raw and creative approach towards skateboarding and similarly progressive cultures. Just like the team that backs Ipath, our gear has always been unique and diverse in nature. The product vibe is an extension of the teams original and soulful style of skateboarding. More than ten years later, Ipath is still pushing forward. We’re constantly striving to make the best products possible, while reducing our impact on the environment. With a dedication to our creative skateboarding roots and the never ending journey, we encourage you to follow your own path, keep searching and always enjoy the ride. path’s unique product line continues to offer skateboarders stylish, alternative footwear on and off the board. There is no question the skate shoe industry has grown and evolved beyond skateboarding since the birth of Ipath. As we look to the future, we see a clear opportunity to expand our point of view beyond skateboarding, into the world of board sports as a whole. As we continue to grow, skateboarding will always be at the core of Ipath with the same soulful spirit and creative approach to standing sideways that has been there since day one. We strive to use only the best materials and construction methods available to ensure each and every pair of shoes we make represents a high benchmark of quality. Ipath shoes are team tested and held to the highest durability standards that modern day skateboarding demands. Comfort is an aspect of footwear where we don’t compromise. New features such as strobel lasted construction, EVA footbeds and an updated slimmer last for a more contoured fit are a few examples of our ongoing commitment to make comfortable shoes that fit. There is almost nothing harder on a pair of shoes than skateboarding. Every pair of Ipath shoes, whether intricate or simple, meets the standards of skateboarding. Performance features such as Sticky-Icky rubber and premium suedes are used throughout the line to ensure that every pair is skate-ready right out of the box. Toutes vos marques a trouvé 1 boutique(s) correspondant à la marque I PATH, à la catégorie Chaussures . toutesvosmarques.com est le numéro 1 de la recherche de boutique de mode sur Internet. Avec plus de 50000 boutiques partenaires en France, plus de 2000 marques référencées et plus de 5000 visites par jour, toutesvosmarques.com est en pole position des recherches d'une marque dans une ville sur les principaux moteurs de recherche. Les boutiques de la marque I PATH - les points de ventes de la marque I PATH - les revendeurs de la marque I PATH - les magasins de la marque I PATH - les dépositaires de la marque I PATH - les enseignes de la marque I PATH - où acheter la marque I PATH - Articles sport, nature, rando I PATH, Chaussures I PATH, Jeannerie streetwear I PATH, Vêtements ligne ados I PATH, Vêtements sport et nature I PATH - I PATH en Ile-de-France - I PATH dans le(s) Paris -I PATH dans le Paris / Ile-de-France - I PATH à PARIS - I PATH à PARIS - acheter I PATH - vendre I PATH - achat I PATH - vente I PATH.